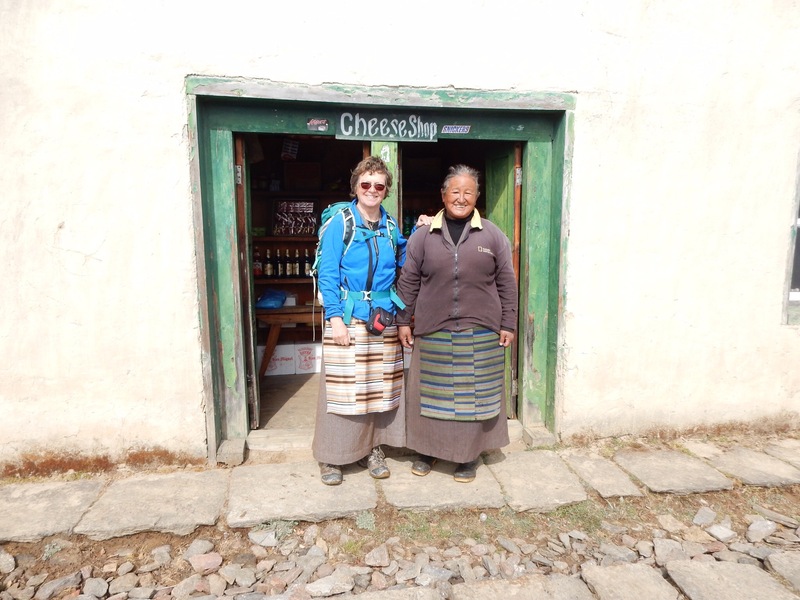 Me and the Nak cheese shop lady. Best cheese this side of Everest! 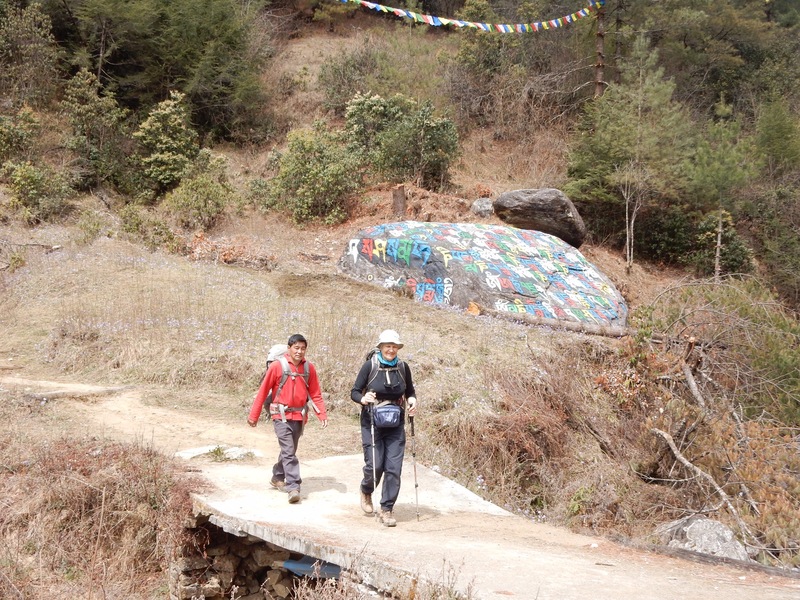 Puri, Tendi and Dendi pointing our the peak of Everest in the distance. 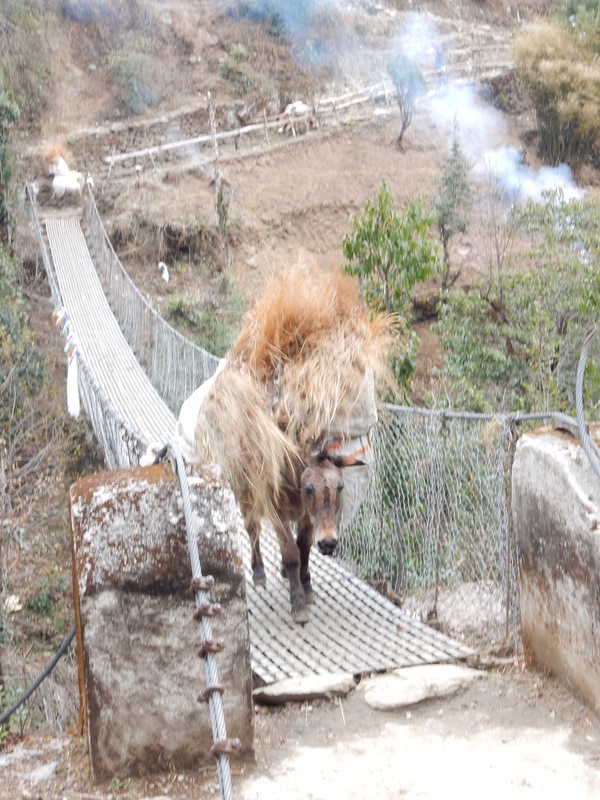 Marianne and Tendi crossing a very dubious cement bridge. Clever mule helping himself to some of his grass fodder load. Great photos. These people are so beautiful. And to be that close to Everest (which is really as close as I want to be), amazing. 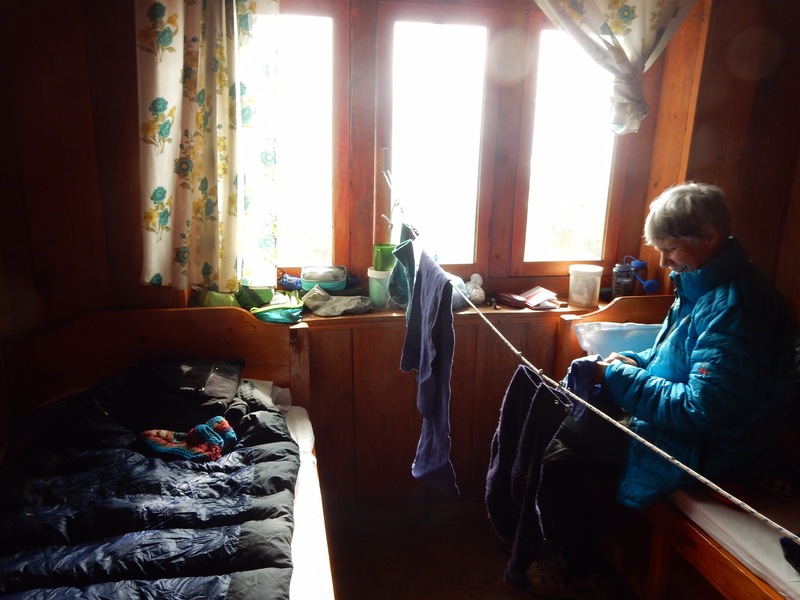 I know that you feel fully alive and yet, I am not working that hard for yak cheese, sweet faces and a view of Everest.